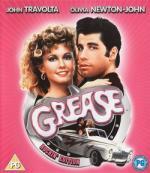 GREASE IS THE ONE THAT YOU WANT! Go back to school with Pink Lady Sandy (Olivia Newton John), leader of the bad-boy T-Birds, Danny (John Travolta) and a rockin' and rollin' all-star cast. Now available for the first time as a remastered Special Edition Blu-ray Disc and featuring rockin' bonus materials, Grease: Rockin' Edition is the word! I love the "Summer Nights" song, but the rest of the movie I find rather boring. It doesn't help that all actors look at least 10 years too old for their roles. Most of the cast was about 10 years older than the parts they were playing..if I remember right, most of them were in their late 20s. A couple of the more minor characters were the right age..One of the Pink Ladies and maybe someone else. I can't remember which one now. Stockard Channing was the oldest at like 33 or 34 I think it was. Only one thing stands between peace and Armageddon: the supernatural agents of Day Watch, who fight to control the armies of light and darkness. Like The Matrix Day Watch combines cutting-edge digital effects and mind-blowing action to create a stunningly original world, taking you on an even wilder ride with more intense thrills and incredible effects. Which essentially resets both movies. What confused me about the ending is, why they insist this should be a trilogy. I think it works very well as a two-parter (BTW; I didn't mind the ending...). Because they are based on a four-part book set? Night Watch (Russian: Ночной дозор, Nochnoy Dozor) is a fantasy novel by a popular Russian writer Sergei Lukyanenko published in 1998. 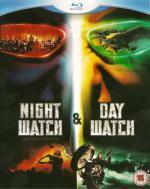 The novel is first in a tetralogy that continues with Day Watch (Dnevnoy Dozor, Дневной дозор), Twilight Watch (Sumerechny Dozor, Сумеречный дозор) and Final Watch (Posledniy Dozor, Последний дозор). Well, you know what I mean. Not having read the graphic novels I had the impression that they modified the ending to make it a two parter. Either way, the movies are supposed to become a trilogy, then why not a quadrilogy like the books??? Don't ask me. I've neither read the books nor watched the movies. Choices- to choose between right or wrong is simple, but what defines one's life is the decision between the greater of two goods or the lesser of two evils. This is the advice that Zooni Ali Beg (Kajol) receives from her father just as she is about to venture out into the world on her own for the very first time. Little does she know that these very words will shape her life. This movie is Kajol's comeback movie after her baby break. I really enjoyed the first half of the movie, where Aamir Khan's character (Rehan) meets the blind Zoomi (Kajol) and they slowly fall in love. After they finally get together, Zoomi gets her eyesight back, just before Rehan is killed in a terrorist bombing. As it turns out, this was just a ruse set up by him, to be able to remove himself from her life. Because he is a terrorist who made the mistake to fall in love. Seven years later they meet again by chance (she of course doesn't recognize him at first, because she has never seen him before). As Aamir Khan's character is really ruthless in his missions, it was clear that this movie cannot have a clean-cut happy end. Though I am a sucker for happy endings, this really wouldn't have fit this movie, so am glad there wasn't really one. Kajol and Aamir Khan had great chemistry, and I am happy that we get the chance to see further movies with her. Eight-year-old Ishaan's world is filled with wonders that no one else seems to appreciate. Adults are more interested in things like homework and marks. And Ishaan just can't seem to get anything right in class. When he gets into more trouble than his parents can handle, he is packed off to boarding school to 'be disciplined'... New Art teacher, Nikumbh, soon realizes that something is wrong and sets out to discover why. With time, patience and care, he ultimately helps Ishaan find himself. An enjoyable 2 1/2 hour movie. It is the first time, that Aamir Khan did direct a movie (and also stars in it), and he did a fine job. Especially considering that he had to direct a lot of children. Story-wise I found it too predictable though. Hardly any surprises at all. But good performances all-around make up for this. Also some great songs are in this movie. Rik Mayall (The Young Ones, The New Statesman) gives a typically manic "Bottom"-style performance in this rip-roaringly funny comedy. This hilarious film also starts Phoebe Cates (Princess Caraboo, Gremlins 2), Bridget Fonda (A Simple Plan) and Carrie Fisher (Star Wars). When Elizabeth (Cates) returns to her mother's home when her marriage breaks up, she recreates her imaginary childhood friends, Fred (Maypall), to escape from the trauma of losing her husband and her job. In between the chaos and mayhem that Fred creates, Elizabeth desperately attempts to win back her husband and return to normality, with comical results. Phoebe Cates is awfully cute as always. Too bad that she stopped doing movies so early. Even though this movie looks like a children's movie, I wouldn't recommend to youngsters. The DVD rating is 12 and that sounds about right. It has some nice performances by Rik Mayall as Drop Dead Fred, but overall this movie could have been more. For Phoebe fans this is a nice little movie to watch. She's a California sorority girl who'll do anything to keep her man. Even if it means going all the way... to law school! Reese Witherspoon (Election) stars with Luke Wilson (Charlie's Angels), Selma Blair (Cruel Intentions), Matthew Davis (Pearl Harbor) and Victor Garber (Titanic) in a knock-out comedy with a heart of gold - and hair to match! I haven't watched this movie for years, but it was still very enjoyable. Usually in movies, the beautiful blonde sorority girl is the bad guy and the plain looking ones are the good ones. This time it's the other way around. Also some new familiar faces are to be seen here, which I didn't know when I have watched the movie the last time. Some reason I always put off Legally Blonde.... I guess it just didn't sound good to me. I may have to give it a chance one of these days. The first one is really funny in its very own blonde/pink/orange way. The second one is a usual sequel that can't keep up with its predecessor. I don't see how you could avoid seeing Legally Blonde...every cable channel in America seems to take turns showing it again...and again...and again! I enjoy the first one but I have never seen the second one...I heard the sequel was painfully bad. The sequel wasn't as good...it was ok. I really haven't wanted to see it again.